A team of staff and students from Imperial won a Hackathon organised by IOTA, the new distributed ledger currency. After a quick tour through the old city of Gdansk, the event started with an introductory talk by Jörg Blumtritt (CEO, Datarella). This was followed by a webinar with Chris Dukakis (Developer, IOTA), who gave an in-depth introduction to IOTA and the underlying technology. Jamie Burke (CEO, Outlier Ventures) also gave a talk on the convergence of distributed ledger technologies, artificial intelligence, and other innovations of the potentially upcoming machine economy. 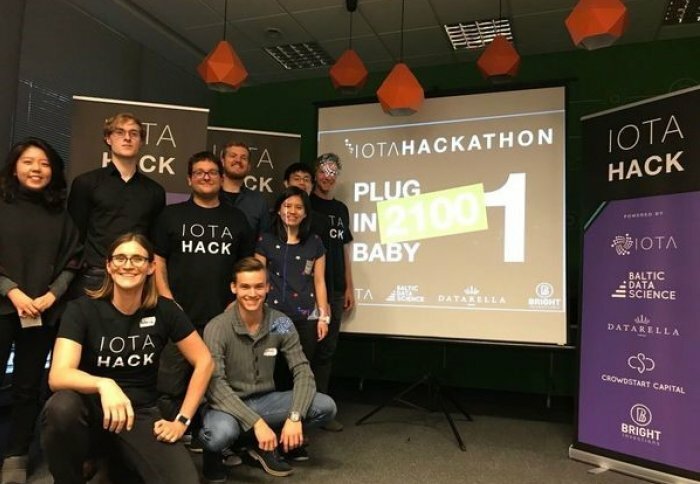 The real hacking started on Saturday with a technical walkthrough of the IOTA implementation and API endpoints by Baltic Data Science. All participants then came together to brainstorm on ideas to be implement during the next 24 hours. Imperial computing and JMC students (Andrew Young, Yoon Kim, Nicholas Sim, and Linna Wang) and members of the IC3RE (Alexei Zamyatin and Dominik Harz) joined forces with Rebecca Johnson (Datarella) and Lukasz Zmudzinski (PhD candidate, University of Warmia and Mazury) to work on 'PlugInBaby'. PlugInBaby is a decentralised marketing platform for finding and offering electric car charging stations, built on top of the IOTA Tangle. Vendors can advertise their charging stations by publishing price (in IOTA) and location, while consumers are able to search, navigate and interact with providers/stations. The complete payment process is then handled on IOTA. 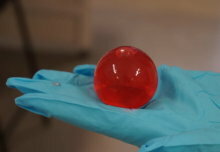 Demos and presentations were held on Sunday, where the Imperial team was able to take first place in the competition. Other teams presented promising concepts for liquid democracy, fraud detection for free London underground passes, and sensor data sharing. If you are interested in activities of the Cryptocurrency Centre, please feel free to join our Slack channel with your Imperial email address.